Criminal activity at Scolty Forest could have a negative impact on the recreation facilities, Forestry Commission Scotland has warned. For the second time in six months, the Pay and Display machine at Banchory’s Scolty car park has been vandalised beyond repair. These acts of vandalism affect everyone who uses the forests. The money collected at the machine provides vital income to help the Commission with the costs of providing a good recreational experience for visitors. Without the income, forest rangers say they would be unable to keep up with building and repair work on the trails and paths. Dan Cadle of Forestry Commission Scotland said: “This is incredibly frustrating for us as we rely on the income generated through this machine and local season tickets to pay for work we have planned here in the coming years. “One of the jobs we had planned was to carry out repair work to the Yellow Trail over the summer but this may now not be possible. We had also planned to replace all of the picnic tables. 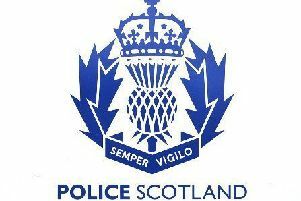 The incident has been reported to Police Scotland, who are looking for information from the public. Anyone with information should call 101.